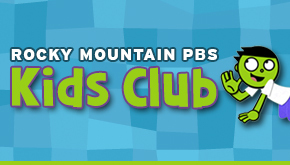 On Tuesday, September 24, 2013 the Mental Health Center of Denver and Rocky Mountain PBS presented a Town Hall: Growing Successful Children. Featuring keynote speaker, Paul Tough, best selling author of "How Children Succeed" and moderated by Cynthia Hessin, host and executive producer of "Colorado State of Mind." Other panelists included Charlotte Brantley (President and CEO, Clayton Early Learning), Steve Nederveld, LCSW (Program Manager, Mental Health Services, Denver Public Schools), Carl Clark, MD (Chief Executive Officer, Mental Health Center of Denver) and Lydia Prado, PhD (Director, Child & Family Services, Mental Health Center of Denver). Please enjoy Paul Tough's keynote address and the panel discussion below.